Click on Photos to Enlarge Surrounded by 110 friends from Orillia, Midland and district, Reeve W. H. & Mrs. Keller celebrated their 45th wedding anniversary at a special dinner at the Parkside Pavilion Wednesday night. 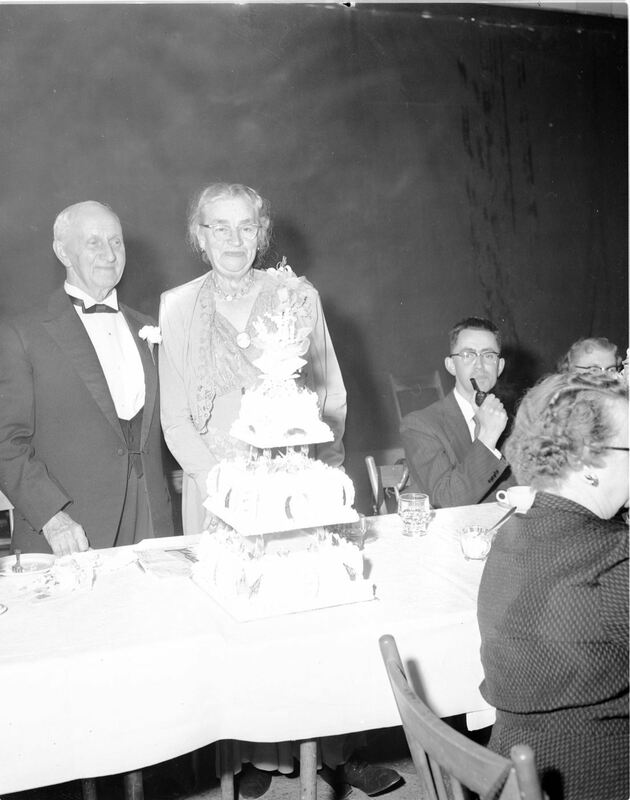 They are shown here as they cut the cake. 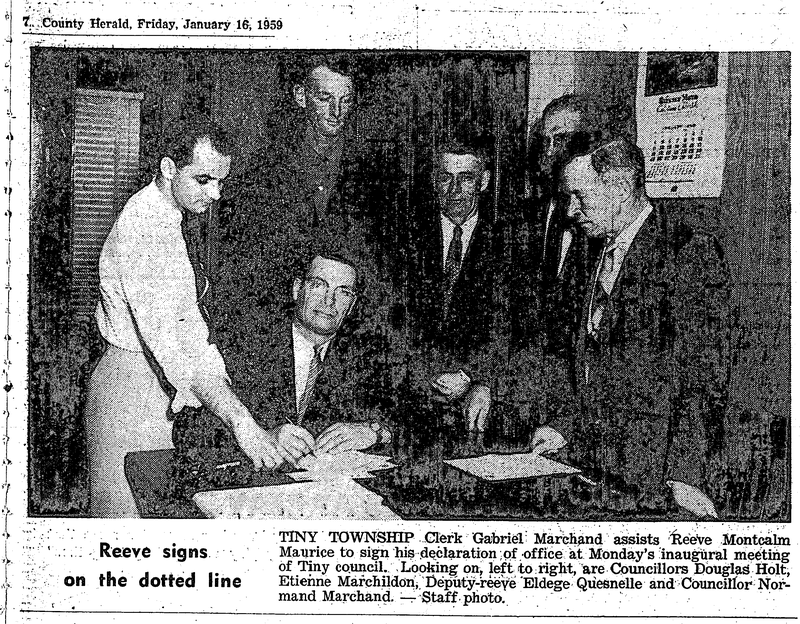 County councillors, county officials, long-time Midland friends, and associates paid tribute to the Reeve and his wife. 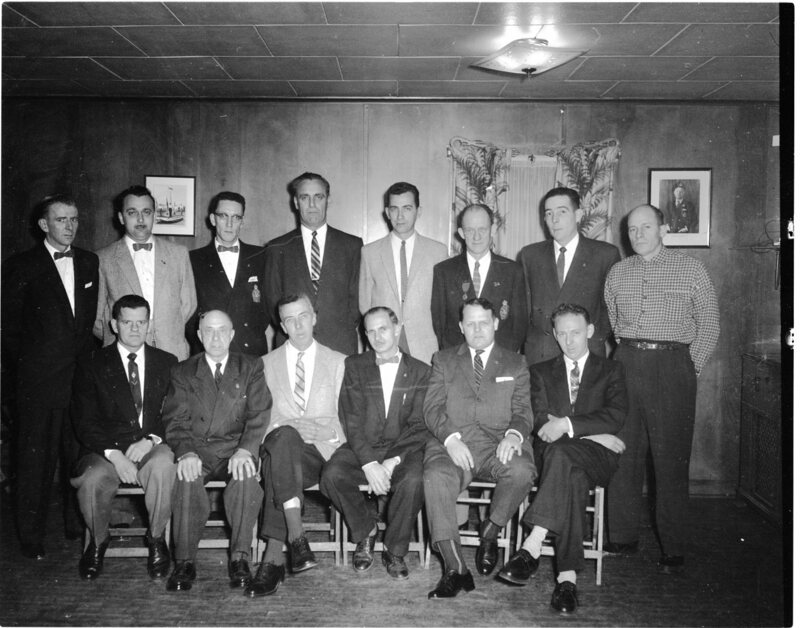 The 1959 officers of Legion Branch 80, Midland, left to right are, front row — Clare Payne, social; James Mackie, executive member; Borden Parker, 1st vice-president; Tom Boast, president; George Magloughlin, 2nd vice-president; Ken Beatty, executive; back row—C. Scott, IPP; Murray McComb; R. Campbell, membership chairman; Fred Lemieux, executive; Don Toole, secretary; Alf Scott, service bureau; Don Galivan, sports; Norm Brock, executive. 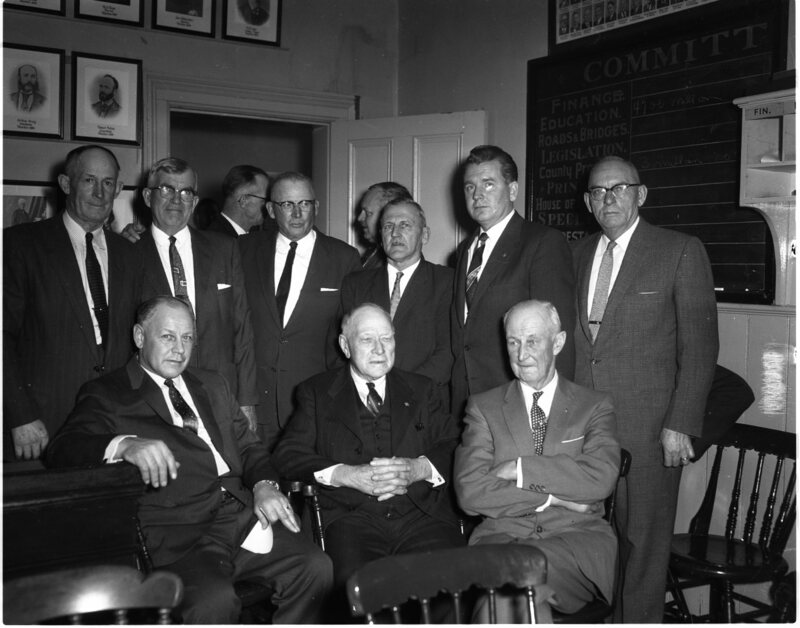 Not present when the picture was taken were Andy Sedore, executive; Fred Bath, building chairman; Howard Henderson, treasurer; Ron Toole, executive; and Len Wiles, Sgt-at-arms. Original directors of the North Simcoe Soils and Crop Improvement Association, and the presidents who have served during the 20-year life of the organization, were honored at a dinner held in Barrie Tuesday. 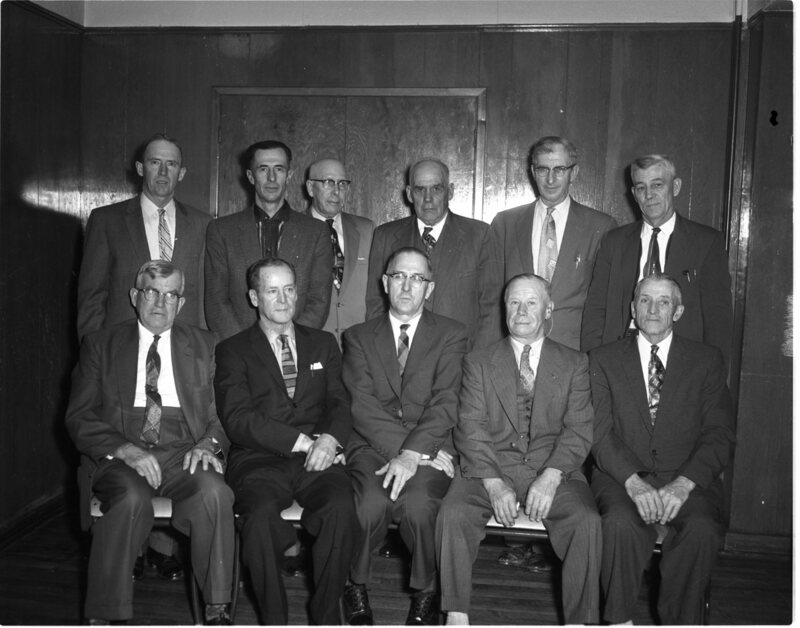 Left to right are, seated — R. N. Hickling, Barrie; Ernest Crawford, Oro Station; Eric Simpson, the first president, Barrie; Carman Robinson, Moonstone; Arthur Gardiner, Wyebridge; standing — Hunter Russell, Midhurst, president in 1958-59; Joseph Dyer, Elmvale, past president; Arthur Walt, Midhurst; James Darby, Waverley; Herb Barker, New Lowell; Roland Maurice, RR 3, Penetang. Ex-wardens Walter Middleton, Roy Hickling, Fisher Ganton, George Sheppard, Arthur Evans, D. K. Harvey back row, and Smith Campbell, Thomas Simpson, and Charles Eplett front, see the new warden elected. New CPR agent at Port McNicoll, Lorne Saundercook, seated, is seen with the other members of his staff. 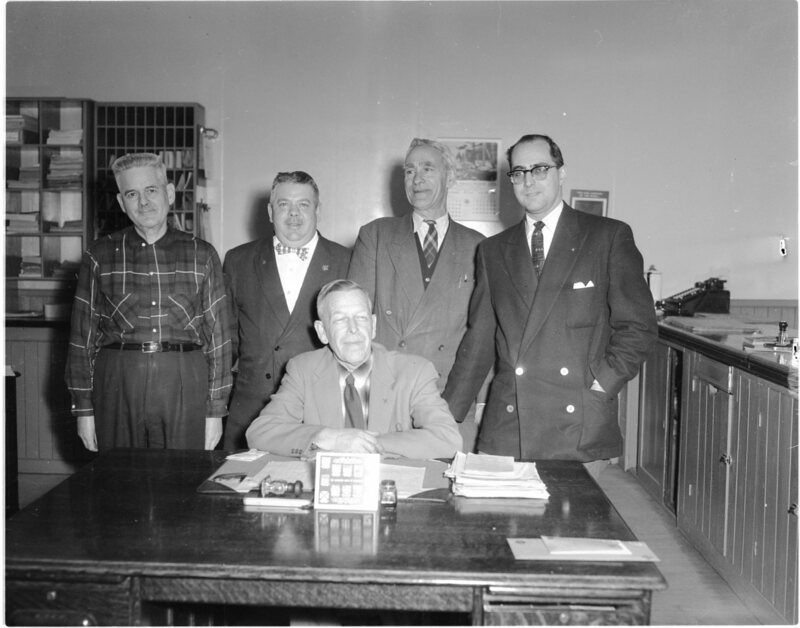 Left to right are Greg Carroll, grain clerk; Russell Coughlin, accountant; Edgar Heels, general clerk; Charles Walton, chief clerk. Hazards of winter driving are plainly (and painfully) evident in this picture. Parked behind Boyd’s Garage in Midland (SW corner of Yonge and King), all the vehicles were victims of hazardous road conditions last week. Repair bills will run into many hundreds of dollars. 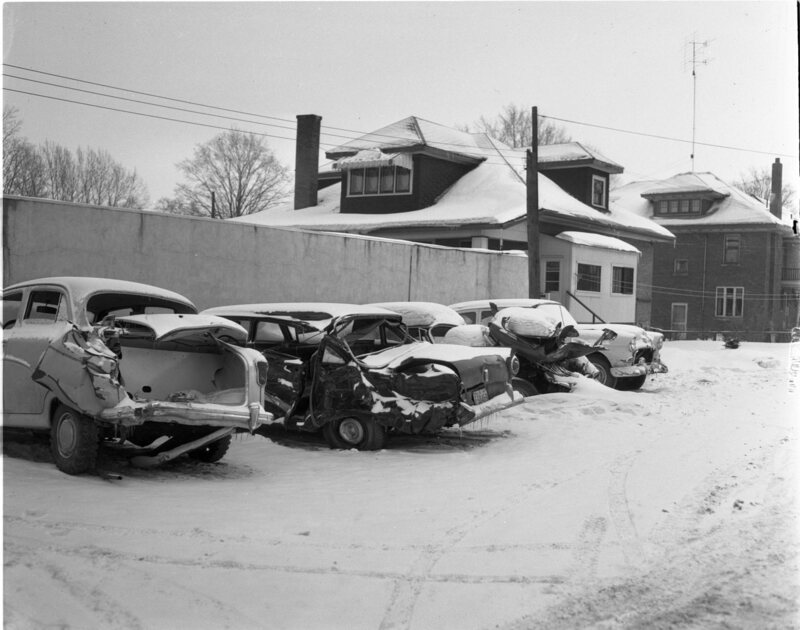 Similar scenes can be found in and around many other garages throughout North Simcoe as a result of one of the severest winters in many years. 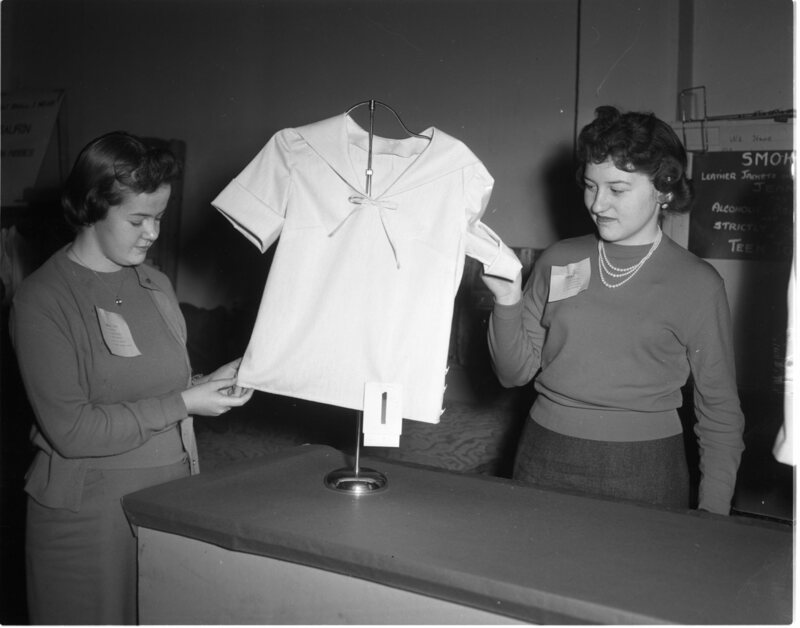 Two Vasey girls, Lorna Brown, left, and Pauline Robinson admire one of the many blouses on display as North Simcoe 4-H Homemaking Clubs held their achievement day at Elmvale Saturday. 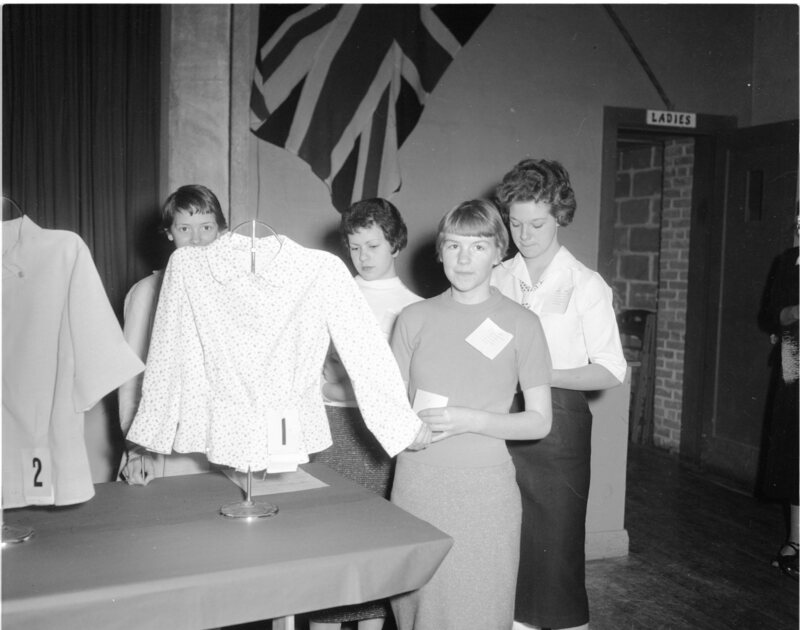 The theme of this term’s project was “What Shall I Wear” a familiar question for the ladies, young or old. Judging other people’s work as well as their own is part of the experience given members of North Simcoe 4-H Homemaking Clubs. Busy judging at the achievement day in Elmvale Saturday were, left to right, June Langman, Allenwood, Pat Luck, Edenvale, Margaret Healey, Vasey and Brenda Moreside, Wyevale. Faithful attendance at club meetings and many hours of work at home paid off for these young members of North Simcoe 4-H Homemaking Clubs. Margaret Goodfellow of Edenvale club, extreme left, is a provincial honor winner, having completed an even dozen 4-H homemaking club units. 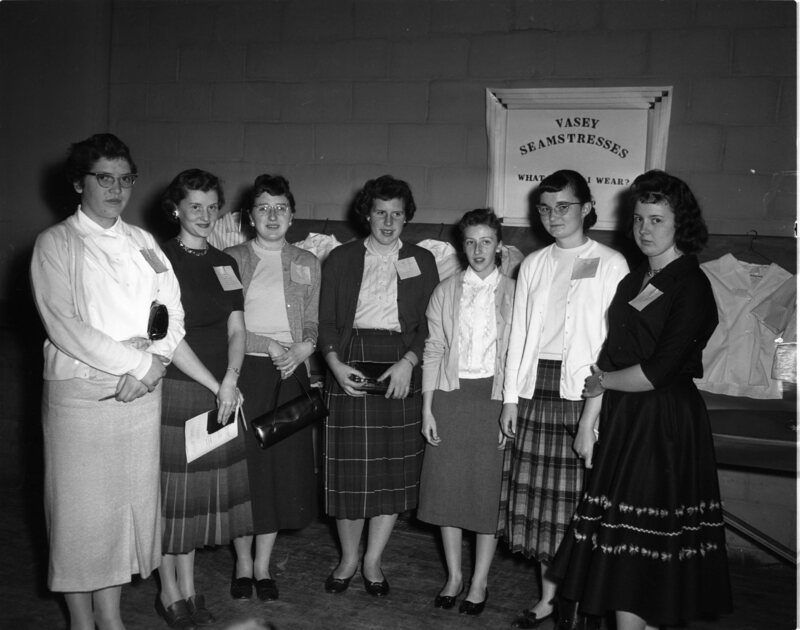 Other girls won county honors, having completed six projects. County winners, left to right, are, Marion Stott, Wyevale; Joan Graham, Saurin; Eileen Lockhart, Vasey; Jean Troughton, Mount St. Louis; Elaine Alderson, Eady; Pat Playford, Hillsdale, Picture was taken during achievement day at Elmvale Saturday. 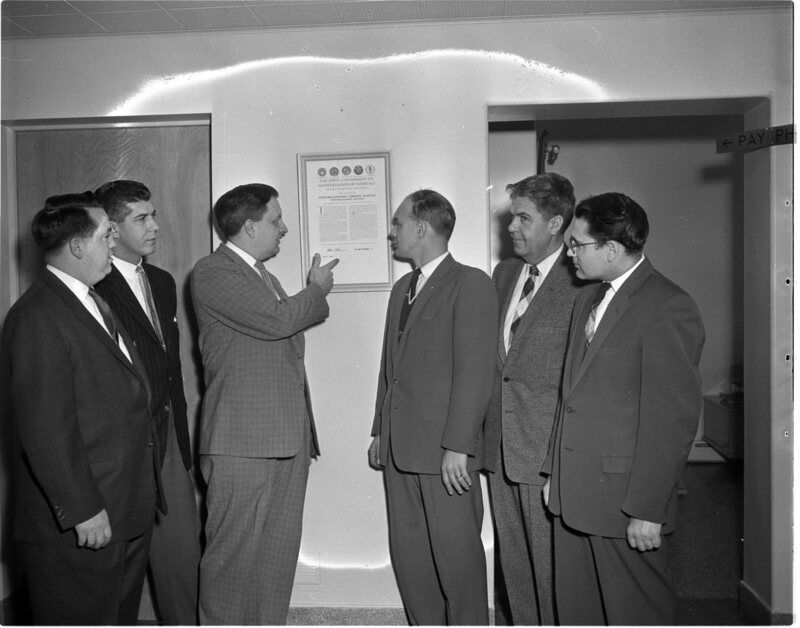 Dr. A. D. MacKenzie points out to Penetang Hospital Board Chairman Jerome Gignac that the accreditation certificate for Penetang General Hospital is actually dated May 7, 1958. Penetang is the first hospital in the district to receive accreditation. Looking on at left are Dr. Henri Marchildon and Dr. D. J. Patchell; at right, Dr. W. E. Binkley and Dr. R. Lauzon. 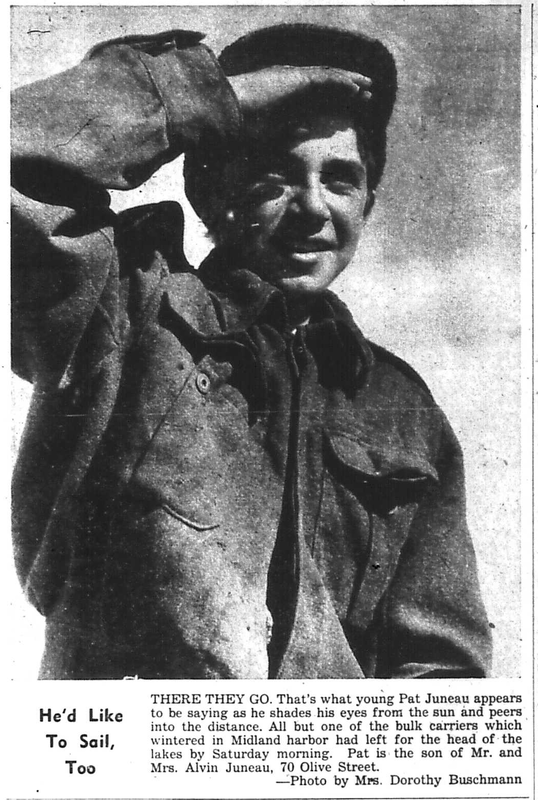 The photo below is from the April 20th, 1955 Free Press, front page. It was not used in the blog from that date but there is something compelling about it. A young man’s dreams. 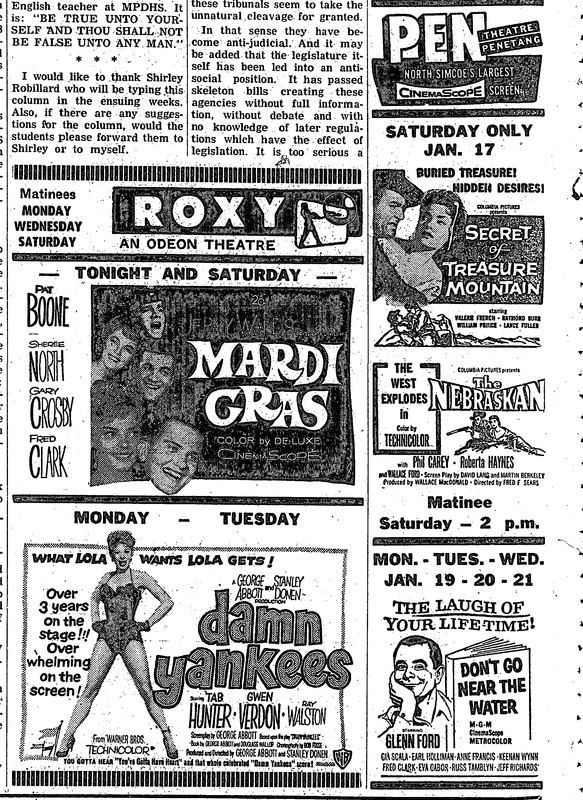 County Herald headline of January 16, 1959; Area High School Board Bans Smoking on Buses. Midland-Penetang District High School Board, at its inaugural meeting Wednesday night, made it plain they would not tolerate any hi-jinks, horseplay or smoking on buses transporting pupils to and from the high school. The matter was brought to the board when it was told that two pupils had been put off the Hillsdale route bus Tuesday afternoon at their destination and told by the bus driver not to come back the following day. A group, representing Penetang Chamber of Commerce asked Penetang council Monday night to prepare a bylaw to provide for a vote on the question of dining lounge licences and lounge licences in the town. A committee consisting of Deputy – Reeve Bernard St. Amant, and Councillors Ray McDonald and Hubert Patenaude was appointed to get the necessary information and report back to council. A total of 55 girls and 44 boys were given physical fitness tests last week at a clinic held in Midland YMCA. Known throughout the United States and Europe as the Kraus-Webber method, the tests specify that there be no warm-up prior to their being taken. There were six tests in all. Tests are designed to show the strength of abdominal and hip muscles, both singly and jointly, hip and lower abdominal muscles, the strength of both upper and lower back, and the flexibility of back and leg muscles. 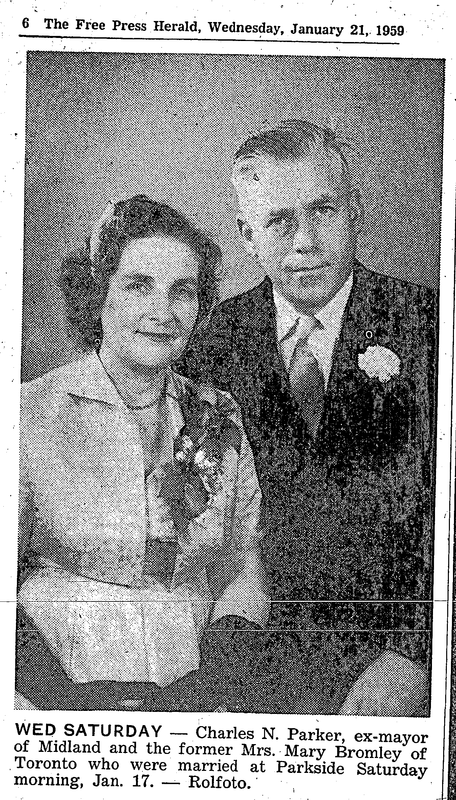 Midland News (Gossip) Mr. and Mrs. Norman Schell were in Owen Sound for a recent visit with the latter’s mother, Mrs. George Shouldice, and the former’s mother, Mrs. Norman Schell, Sr., in Stayner. Mrs. Dougald Brown has returned from Guelph where she spent the holidays with her brother-in-law and sister, Mr. and Mrs. T. Clendenning. Mrs. Art Payette of Sudbury is a guest of her sisters, Mrs. Thomas White and Mrs. Blake Lawrence. Mr. and Mrs. Charles Rutherford and Mrs. Thomas Laidlaw were visitors in Etobicoke Sunday of Mr. and Mrs. Lawrence Donnell. Mrs. Charles Vent returned from Toronto after visiting Mr. and Mrs. Howard Faulkner. Mrs. H. J. Thompson had as a guest last week her sister, Mrs. Bob Davies of Mount Forest. Mrs. George Harpell of Owen Sound is visiting her son and daughter-in-law, Captain and Mrs. Frank Harpell. Miss Gertrude Bristow of Bright is visiting in town, a guest of Miss Ethel Wagg. Mr. and Mrs. Douglas Garrett, Mrs. Florence Nimens, Ronald and Pauline Nimens, all of Sarnia, are visiting relatives in town. R. H. Scarlett, Toronto, has gone to Garden Grove, Calif., to spend the winter with Mr. and Mrs. W. C. Scarlett and family. Births – FUNSTON—To Mr. and Mrs. D. J. Funston, 273 Fifth St., Midland, at St. Andrews Hospital Monday, January 12, 1959, a son. 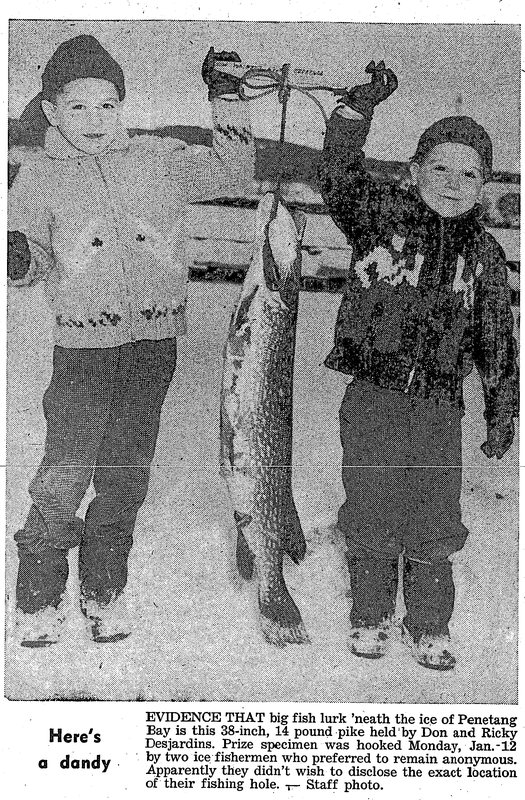 HENDERSON — To Mr. and Mrs. Ernest Henderson, 284 Midland Ave., Midland, at St. Andrews Hospital, Friday, January 9, 1959, a son. MOREAU — To Mr. and Mrs. Patrick Moreau, Penetang Road, at St. Andrews Hospital, Tuesday, January 13, 1959, a son. LAFONTAINE — While talking on the telephone to Mrs. Louis Moreau, her daughter, Mrs. Thomas Brunelle here collapsed. Alarmed by the sudden end to the conversation and an odd noise coming over the phone, Mrs. Moreau telephoned her brother, Martial Brunelle, and told him what had happened. He rushed to his mother’s home and found her lying on the floor. Mrs. Brunelle was rushed to Penetanguishene General Hospital where she is being treated for pleural pneumonia. We are not sure what evils they portend, but there are three “Friday the thirteenths” in 1959, one in February, one in March and one in November. The sole “unlucky day” in 1958 was Friday, June 13. It seems Cubans now have two valuable diamonds in the capital city of Havana — one in liberator Fidel Castro and the other a 24-carat stone in the floor of the capitol building, used as a starting point in measuring all distances in Cuba. Penetang Winterama Committee got into high gear at a meeting in Memorial Community Centre Hall Friday night, when most of the program was drafted and additional committees were named. 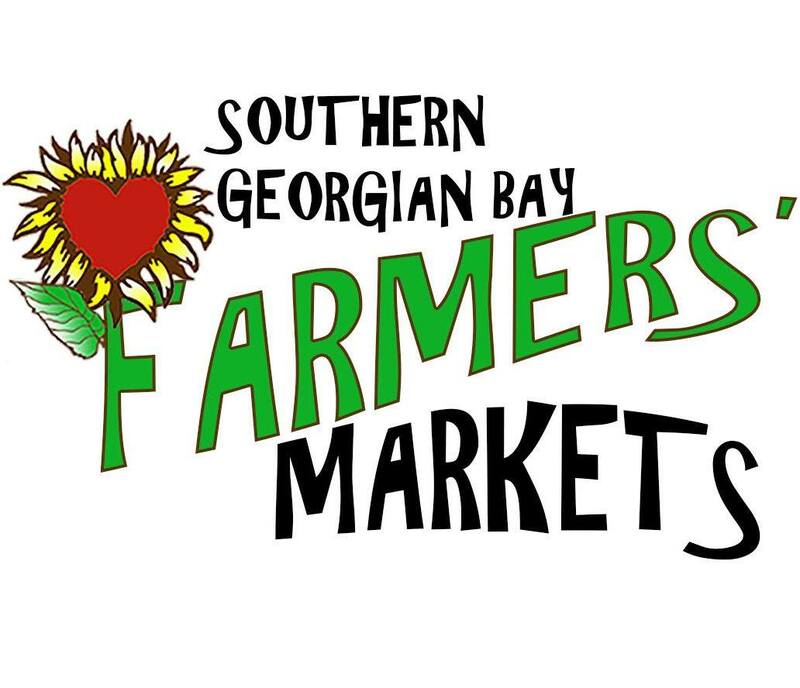 Murray Dubeau, Ernie Marchand, and Ossie St. Amant were appointed as a committee under vice chairman Bill Stevens to take charge of the Saturday night program in the community center. Ten Years Ago This Week – Twelve cases of diphtheria had been reported in Penetang in six weeks. Simcoe County Health Unit officials stated, however, that the outbreak by no means had assumed epidemic proportions. * * * Mrs. P. Beckstead of Severn Falls was elected to Matchedash council. It was believed she was the first woman in Simcoe County to hold a municipal office other than school trustee. * * * Charles M. Vent, a former mayor of Midland, was elected chairman of Midland District High School Board. He succeeded Dr. J. Ross Parrott. * * * High winds that swept through North Simcoe caused heavy property damage throughout the area. Most serious damage was caused at Vasey United Church where part of the west gable end was blown in and half of the roof on the north side was blown off. Lawrence Parker’s barn on Old Fort road and T. Brandon’s barn south of Midland also suffered severe damage. * * * Penetanguishene General Hospital reported a surplus of $1,812 on its operations in 1948. As well, the annual meeting of the hospital board was told that several thousand dollars worth of new equipment had been installed during the year. * * * Budgeting for an increase to expenditures of more than one hundred thousand dollars, Simcoe County council struck a county rate nearly two mills more than the 1948 level. C. T. S. Evans, reeve of Bradford was elected warden of Simcoe County for 1949. A look back to the January 25th, 1923 edition of The Midland Argus under the heading of “Local News”, 96 years ago. A contract has been already let for the new elevator to be placed in St. Andrews Hospital, to a Galt firm, and it is expected it will be installed within the next couple of months. * * * The changeable weather of the past few days has been responsible for an unusual amount of illness, and severe colds, bronchitis, and other ailments are quite prevalent. * * * The ice breaker owned by Burke Bros. was moving about in the harbor on Monday morning smashing up the ice and placing some of the grain boats at the elevator. * * * A large number of hardwood logs have been brought to town during the past few days. The recent fall of snow has provided excellent sleighing throughout this district and heavy loads are being transported with comparative ease. * * * The first game of curling between Penetang and Midland teams for the Grant cup will take place tonight, four rinks playing here and four at Penetang. The games were called for last week but a mild spell spoiled the ice. * * * The cement block on King Street where the fire took place last week has been purchased by N. K. Wagg and others. Just what will become of it is not yet known, but it is quite unlikely any move towards re-construction will be made until spring. * * * The mill firm for so many years carried on under the name of Chew Bros. has been changed and a new company organized to be known as Letherby & Chew with a capital of $700,000. They will carry on a general sawmilling business as heretofore. (The mill was located in the area of the current Pettersen Park.) * * * Mr. and Mrs. F. O. Preston left last week for California and Mr. and Mrs. James Playfair and Mrs. Featherstonehaugh for South America. Mr. and Mrs. D. S. Pratt and daughter Edna will leave in a week or two for Havana and other parts of Cuba. * * * Three students from Knox College, who are going out to the foreign mission fields will conduct the services at Knox church on Sunday next both morning and evening. It should be interesting to hear the message these young men will have to give. * * * The remains of Miss J. M. McMullen who died at Victoria BC on Sunday, January 14th arrived here on Monday and were taken to the home of her brother, Mr. J. G. McMullen, First Street from which place the funeral took place on Tuesday afternoon to the Church of England cemetery at Wyebridge. * * * The C.P.R. Company is contemplating the erection of a permanent bridge to take the place of the trestle work across the head of the bay leading to Port McNicoll. The engineers have been busy taking sounding for some time. Last year part of the present temporary structure settled and extensive repairs had to be made. * * * The latter half of January is now disappearing day by day and the days are lengthening perceptibly. On a bright afternoon, the lights are no longer necessary until about five o’clock. People who dread the winter have little to fear now. Lent is less than a month away, Ash Wednesday falling on the 14th of February. * * * Manager Bugg of the Model Theatre has just entered into a contract with the famous Fox Film Co., for a series of very high-class productions that will be featured during the next few weeks. The list commenced this week on Monday with the presentation of that fine picture – “Over the Hill.” The contract runs into several thousand dollars and is the first secured from the Fox Company. * * * A new line of rowboats is being built at the Gidley Boat House, operated by the Honey Harbor Navigation Co. They are of the smooth planking designs and are said to be much superior, both in strength and durability to the lapped plank style. A large number are being built in anticipation of a demand for rowboats from among island cottagers next summer. They are also constructing a number of small and large lifeboats. This is a description of the fire mentioned in the article above. Hoping our history sleuths may be able to identify the location. Shortly after one o’clock on Monday, a fire broke out in the cement block directly south of the Argus office and entirely gutted the building, consuming the stocks of three firms occupying the premises. Garber & Son, boots and shoes, J. Simpkin, clothing and gent’s furnishings and B. Freiligh, gent’s furnishings and boots and shoes. The building was owned by Staiman & Cohen. The fire apparently started in the back section of one of the stores and before it was noticed had gained considerable headway. The building was of such a nature as to allow of the swift spread of the flames, which swept away the light partitions and took a firm hold upon the consents in a very few minutes, A false roof saved the flames from breaking out for a time but it served to hold the fire with the result that the smoke became so dense as it rolled out of the building as to stifle the firemen and those who sought to check the progress of the fire. Several lines of hose were at work, one line giving attention to the Argus building which stood in great danger for a time when the smoke became so thick that the firemen were driven off. They got back to the task, however, in time to save the building. There was $6500 insurance upon the building destroyed, B. Freiligh had $14,000 on stock and J. Simpkin $5000, while Garber & Son had no insurance. ← Huronia Museum Film Series 7:30 show of Beautiful Boy is on!! !